Prior to taking teacher training courses, my impressions of the Suzuki Method were mostly based on vague statements from other people who may or may not have had any knowledge of Suzuki teaching. Like a game of telephone, misinformation tends to spread unless corrected by a reliable source. I would like to address some common misconceptions about the method that I have heard over the years, both from teachers and parents, and share my own experience with the method. Music Mind Games, I Can Read Music, Quick Steps to Note Reading, Fingerboard Geography and many more! I do think that comprehensive music literacy and ear training is an area that could be further explored in Suzuki education (and frankly in other methods as well), but the teaching of note reading is addressed by the majority of teachers at a level on par with traditional teachers. Furthermore, by delaying note reading until the student has acquired a certain level of technical skill and ear training, the Suzuki student is able to focus their whole attention on note reading when they do start playing from written music. The Suzuki Method is a teaching philosophy with instrument-specific curricula and a general philosophy which includes learning by ear, the idea that every child can learn to play at a high level, and parental involvement at home. Suzuki teachers have the flexibility to apply the method based on their own personality and pedagogy, and according to the needs of each child. I’ve met Suzuki teachers who use elements of Kodaly, Dalcroze, or the Alexander Technique in their teaching. I know teachers who teach the first Twinkle variations at the upper half of the bow and other teachers who teach it at the balance point. Some violin teachers don’t teach shifting until Book 4 while others start teaching shifting in Book 2. In addition to the Suzuki Method Books, practically all Suzuki teachers use supplemental materials for technique, reading, or ensemble. The great thing about the Suzuki community is that we all bring our unique experience and knowledge, which we share actively with one another. There is no “one true way” to teach Suzuki lessons. Suzuki students learn their early music by listening daily to the reference recording which has caused some to claim that the students are just parroting and can’t make their own musical decisions. I think that claim misrepresents the nature of listening. Students are not “corrupted” by listening to recordings any more than they would be by attending a concert. In addition to the reference CD for their current book, Suzuki teachers encourage their students to listen to other recordings of the same piece, or other pieces by the same composer. I would also argue that by memorizing their music quickly through lots of listening, students are freed up to be more musically expressive. It’s tough to phrase when you’re staring at the music stand, trying to remember if C# is played with a high or low 2nd finger! 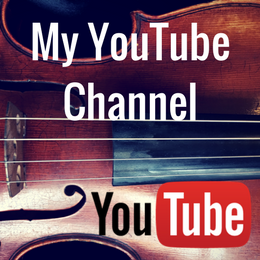 In my own teaching experience, the Suzuki violin and viola books provide many opportunities to explore phrasing and good teachers emphasize musical as well as technical teaching points throughout a student’s lessons. Seeing a big group class of students all playing a concerto movement all in the same way can also lead to assumption that individuality is discouraged. Sure, in group class, the goal is for all students to watch the leader and play perfectly together, with the same bowing, phrasing, and dynamics. But aren’t those things also true of a great string section in an orchestra? In a group class, ensemble takes precedence over personal preferences, but when playing solos, the student is able to make more personal musical decisions about phrasing, timing, and dynamics. Again, this is a lie that comes from a truth. Yes, Suzuki students can begin playing around age 3, so in that way it is a method for young children. However, a quick glance through the Suzuki materials reveals that the upper volumes include pieces appropriate for college auditions. In the viola volumes, for example, the upper books include pieces like the J.C. Bach Concerto, Marcello Sonata, and Schubert Arpeggione sonata. Any viola player will recognize these pieces as standard repertoire for the advanced student and even the professional player. There are some Suzuki teachers who are only comfortable playing and teaching the lower level books (the same could be said of some traditional teachers), but most have college and/or graduate degrees in music and are capable of teaching students at a very high level of playing. Especially at larger Suzuki summer institutes and gatherings there are many opportunities for advanced older students to participate in chamber music and youth orchestra and to receive coaching from nationally recognized teachers. Personally, I’ve not found this to be the case. I was not a Suzuki student myself, and didn’t encounter the method until college. Coming in as an “outsider” unfamiliar with the method, I have always felt welcome and included and my (many) questions were always answered respectfully and openly. I would argue that in any community there will be cliques, but I don’t feel that the Suzuki community is especially cliquey. It’s true that the Suzuki Method originated in 1950’s Japan, where nearly all mothers stayed at home full-time with their children. Some traditional teachers take issue with the high level of parental involvement required in the Suzuki Method, saying it is unrealistic to expect a parent to practice with their child every day, particularly now that both parents usually work outside the home. However, I would offer that there are many things a parent is expected to do with and for their child that are more involved and time-consuming than music practice, such as school homework or most team sports. Sure, music daily practice is a serious commitment, but I find that whatever we choose to make a priority in life, we will tend to find time for. To give an idea of the time commitment involved, in the beginning, I suggest that pre-twinkle students do no more than 5-10 minutes of practice per day, plus daily listening which can be done in the car, at breakfast, or some other convenient time. Practice in the beginning can be simple viola balancing or bow exercises. Gradually, we work up to more and more practice, so the parent should consider if they have this time available each day when signing up for lessons. I’d estimate that 90% of my studio families have both parents working outside the home, and they seem to manage fine with practice as long as it is a priority in their lives. I will also add that many sports activities take up way more time than music practice. In her popular yet controversial book, self-proclaimed “Tiger Mother”, Amy Chua advises parents to look into Suzuki method instruction for their children due to its excellent pedagogy and rigor. Amy Chua has been criticized for her harsh, borderline abusive parenting style. However, central to the Suzuki Method is the concept of learning through play, not pushing children beyond what they can do, and taking small steps in a loving, non-competitive environment. Dr. Suzuki said that his primary purpose in teaching was to develop a “beautiful heart”, not to produce child prodigies. Suzuki teachers actively discourage the intense, achievement-at-any-cost mindset. In fact, I’ve found that Suzuki teaching can help parents who have those “tiger parent” tendencies to relax and enjoy working at their child’s own pace. The Suzuki Method is Fine, But When do we Get to the Real Music? This is more of a question I get from parents than from other teachers. Again, look at the materials in viola volumes 4 and above and we have: Telemann G Major concerto, Marcello Sonata, Marais French Dances, J.C. Bach Concerto, Bach Cello Suites, the list goes on. These pieces have long been staples of the viola concert and teaching repertoire and they are as “real” musically as anything in another method or music collection book. In Suzuki lessons, we work on tone, bowing skills, phrasing, intonation, rhythm, and musical expression. What about those lessons is not “real”? Isn’t the Suzuki Method Just for Violin? The Suzuki Method started out as a violin method created by the violinist Shinichi Suzuki in Japan. It has since expanded to include: violin, viola, cello, bass, harp, piano, flute, recorder, voice, and now trumpet! I love being a Suzuki teacher because I get to always keep learning. Like playing an instrument, teaching is a lifelong journey and I have much to learn about the method and how to apply it in my own teaching. I hope my reflections on these common misunderstandings about the method are helpful for you. Have you, as a Suzuki teacher or parent, encountered any other misconceptions about the method? Have you ever had any of these questions yourself? Join the discussion in the comments below!